The Pathfinders found their way with great win of 10-4 at home against Monte Mar in the Discovery Division. John Rae, Bernie Carr and Mick Fitzgerald 19-13. John Mallet, John Morgan and Gina Hindle 20-8. Colin & Lynne Armitage and Peter Bailey 18-8. David Taylor, Dave McGaw and Lorita Rae 18-13. 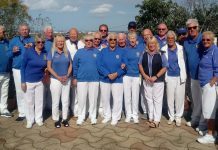 The Explorers travelled to play Quesada Pearls but met a strong team and lost 10-4 although they only narrowly lost the overall score by six shots. Our winners came from Peter Parsons, Phil Pape and Carol Smith plus Alex Whyte, Shirley Hadaway and Janet Parsons. Winter League at home to BBC and although we lost, it wasn’t a disaster as we achieved four points. Colin Armitage, Dave Taylor, Richard Robinson and Lynne Armitage beat that brilliant Jeff Richards. One of our oldest players, Alan Castle led his rink of Phil Pape, Carol Smith and Kathy Manning to an 18-16 win. The Berleen Boys did it again winning by one. So well done Alex Whyte, Jim Freeman, Mike Surch and Dave Bulfield. Friday here again and little trip down the road for the Dolphins to play La Manga Crusaders and they surprised a few folk by getting four points. Don Harrison, Reg Jackson and Trevor Hancock a 16-11 win and the travellers return, Barry & Margaret Sadler that is plus Garth Slater with a two shot advantage. Well done the Dolphins. The Seagulls at home to the San Miguel Cougars lost in a very close game by two shots. Our top rink was Dave Taylor, Gina Hindle and Lynne Armitage. The other two winning rinks won by just one shot each so well done Terry Perchard, Berni Carr and Barbara Forshaw plus John Morgan, Clive Pratt and Dave Bulfield. The Sharks are the tops this week with a 14-0 beating at home of the San Luis Tigers. Should just about get all the triumphant names in. So well done Alex Whyte, Dave Hadaway, and Maureen Kidd. Dave Lewis, Jim Manning and Margaret McLaughlin. Margaret & Rob Finlayson plus Hilary Cronk. Peter Parsons, Tom Spencer and Andy Bartlett. Alan Castle, Phil Pape and Janet Parsons. And our top lot, Shirley Hadaway, John Mallett and Kathy Manning. The Pintos started their week with a home fixture against La Siesta Apollos and what a glorious day it was. It was a tight match on play, with most of us I think playing some good woods, but also some that we could hardly believe, a little tricky I think. But we did hold off the opposition to take the rinks 5-1 and the overall shots. Meanwhile the broncos were playing away at Horadada against the Falcons and had a tough match, but played well enough to come away with 2 rinks, always a good away result. Friday found the Mustangs playing at Quesada against the Swifts and a very pleasant morning it was in good company. As you would expect the Swift took advantage of the home mat, but the Mustangs did manage to come away with 2 rinks and not a great deficit in overall shots. June Whitworth, Jane Hamill and Stew Hamill 20-22. Bob Morgan, Keith Cunningham and David Whitworth 15-18. Ann Taylor, Malc Sykes and Jim Gracie 12-21. Irene Thomson, Jim Taylor and Eddie Thomson 18-14. Barbara Jones, Sheila Cooper and Geoff Jones 8-22. Henry Ryder, Jan Bright and Richard Lee 21-11. 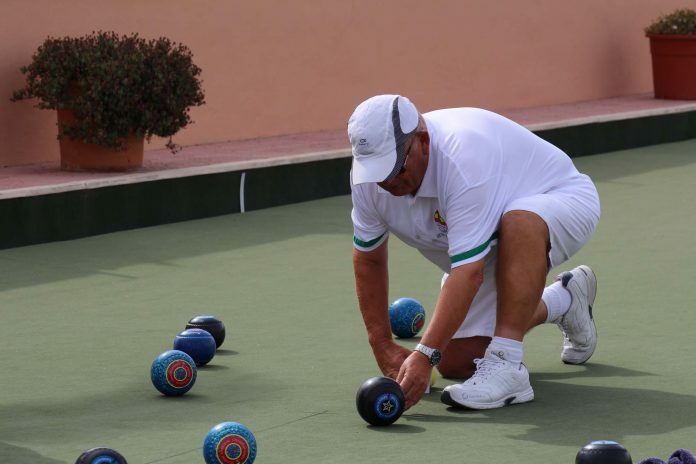 In the Discovery Division the Sycamores were at home to Country Bowls Flamingos. Final score was – total shots – for – 114. Total shots against – 79. Points for 8 against – 6.Winning rinks – Rudy Wattley, Terry Lawton, John Obrien. 25 shots to 4. Diane Lawton, Ron Stansfield, Frank Saunders. 22 shots to 7. Joan Hunter, Margaret Hirst, Mike Cassidy. 30 shots to 7. The Oaks were against Emerald Isle Cavaliers. Total shots for 91. Shots against 89. 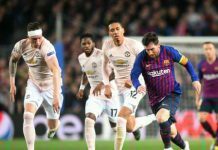 Points 8 – 6. Winning rinks – Sheila Stead, Joan Oliver, Mel Brown – 20 – 12. David Fryatt, Zoe Wilcock, Jim Wilcock. – 18- 11. 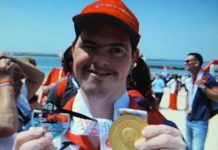 Brian Tomlinson, Dave Thompson, Marilyn Fryatt – 18 – 11. The Apollos travelled to the notoriously difficult El Rancho rink to play the Pintos and only managed to win on one rink. Our winning rink was Beryl Styring, Norman Adcroft and Alex Morrice who mastered the conditions to win by 18 shots to 13.The overall shots score being 85-131.However, despite this loss the Apollos still have a good chance of finishing as league runners up. The Pioneers entertained the Emerald Isle Moonrakers and in a close contest the rinks were shared with Moonrakers picking up the overall score by 109 shots to 96. The winning rinks for La Siesta were Hilary Clarke, Molly Russell and Rab Logan 31-8, Penny Porter, Alan Ralph and John Clarke 20-12 and in a nailbiting finish Ken Stringfellow, Rod Edgerton and Johnnie Ryder won by a single shot 19-18. In the Fed 4’s the Parakeets had Emerald Isle Shamrocks as visitors. La Siesta won on two of the tree rinks drawing the other, therefore winning overall by 7 points to 1, overall shots being 66-33. The winning rinks were Joy and Brian Gardiner with Tony Campbell and Jean Cooper 31-7 and Jo Elkin, Irene Mangan with Trish and Pat Reilly who won 20-11. The other rink which was tied saw Irene Laverick, Pat Moore with Pat and Brian Harman winning the final two ends to gain a draw 15-15. The Hoopoes were away against league leaders San Luis and won on a single rink thereby gaining 2 points. The winning rink was Robert and Ann Heath together with Tony Dalton and John Ball. Barbara and Bill Cooper with Sue Jordan and Mike Edwards needed a hot shot on the final end to gain a valuable draw, and they nearly managed it getting 7 on the final end, thereby losing to a single shot. The Winter League team travelled to Emerald Isle and unfortunately met with a disappointing 12-0 defeat. Let’s hope for better fortune next week. The Blues travelled to San Miguel to play the Jaguars and came away with a 10 points to 4 victory. The overall shots being 111-96.The biggest winning rink came from Ann and Robert Heath with Pat Harman who won 19-7. 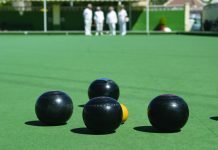 The 3 other winning rinks were Joy Gardiner, John Taylor and Jean Cooper 21-16,Irene Laverick, Brian Gardiner and Brian Harman 17-11 and Beryl Styring, Ramsey Sinclair and Alex Morrice 16-14. The Golds entertained Montemar Toreadors and although sharing the rinks 3 apiece lost the overall shots by 110-99.The biggest winners were Hilary Clarke, Tom Heaslewood and Tony Dalton 33-18 whilst Penny Porter, Allan Ralph and Johnnie Ryder won 20-13 and Ken Stringfellow, Sid Gallup, Tony Campbell won by a single shot 15-14. Monday 27th February. Monte Mar Toreadors v La Marina Pathfinders. A hard fought match with the Pathfinders on a lovely February morning, not the result we were hoping for. Points Toreadors 4 – 10 Pathfinders. Shots Toreadors 85 – 102. Well done to all the team for their effort on the day. Monte Mar Matadors v Vistabella Drivers. Shots Matadors 104 – 90 Drivers. Points Matadors 10 – 4. Wednesday March 1st Monte Mar v Javea. Winning on one rink well done to, Sue Kemp, Jan Gatward, Danny King, and skip Brian Zelin. 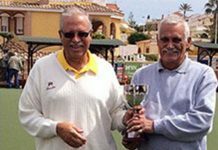 Shots Monte Mar 68 – 88 Javea. Points Monte Mar 2 – 10 Javea. 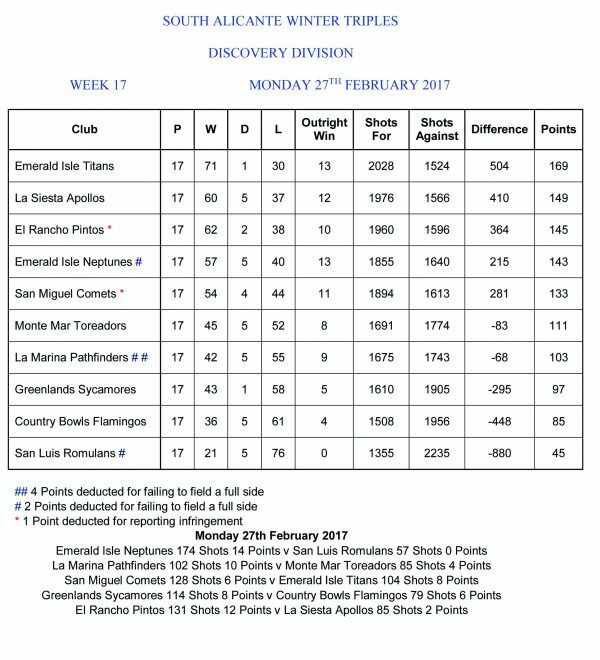 Thursday March 2nd Monte Mar Lords v Quesada Leopards. Winning on one rink well done to Keith Simpson, Dave Roberts, June Young, and skip Danny King. Shots Lords 33 – 59 Leopards. Points Lords 2 – 6 Leopards. 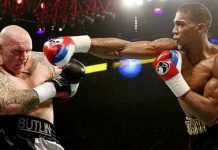 Friday March 3rd Monte Mar Toreadors v La Siesta Golds. A good win for the Toreadors at the home of La Siesta Golds. After a keenly fought match with a number of close matches both teams won on three rinks, with the Toreadors winning on overall shots. Shots Toreadors 110 – 99 Golds. Points Toreadors 8 – 6 Golds. Well done to the winning rinks of Lesley Jones, Bill Webster, skip Joan Harding. Sue Bounds, Les Bounds and skip Jan Gatward. Cliff Norris, Howie Williams and skip Graham Smyth. Monte Mar Matadors v Quesada Swallows. 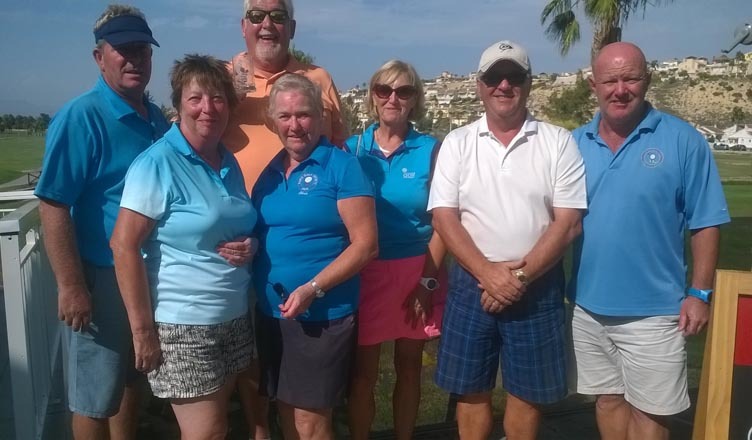 Winning on three rinks well done to, Sue Kemp, June Young skip Brian Zelin 21 –17 Pauline Merry, Alan Ashberry skip Chris Merry 21 – 6. Keith Simpson, Joe Ridley, skip Diane Ridley 23 – 14. Ronnie Cairns, Val Hignett skip Roy Mercer 18 – 18. Shots Matadors 115 – 96 Swallows. Matadors 9 – 5 Swallows. A more spring-like complexion to this week; a chance to briefly take off the jackets and put on the sun cream! 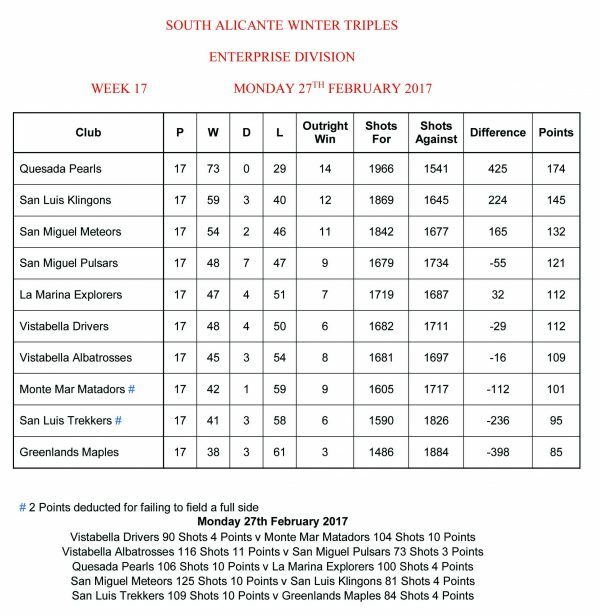 South Alicante Winter Triples: Enterprise Div. Monday 27th SL Klingons away v SM Meteors, a tough afternoon, 4pts-10, 81 shots-125. Winners: Sheila Cammack, Jo & Julian Pering 19-12, Janet Wigfield, Steve Simmons, Peter McEneany 21-15. SL Trekkers, home v GL Maples, good result, 10pts-4, 109 shots-84. 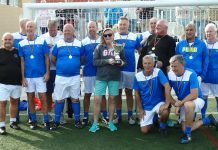 Winners: Irene Everett, Dave Tilley, Vic Slater 22-7, Doug Beattie, Dave Steadman, Peter Fuller 23-11, Judy Carroll, Barry Edwards, Ray Robson 20-14, Mags Haines, Fay Beattie, Brian Pocock 19-17. Discovery Div. SL Romulans, away v EI Neptunes; tough match 0-14, shots 57-174. 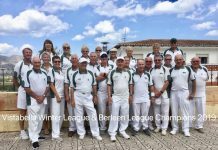 Winter League: Wednesday 1st March away v Bonalba, another good result (just losing the other game by 1 shot after a real battle); points 10-2, shots 112-61. Winners: Irene Everett, Lynne Morris, Peter McEneany Tom Hill 25-13, Kath Reid, Sheila Cammack David Blackie, Scott Malden 23-14, Ann Holland, Keith Phillips, Neil Morrison, Sabrina Marks 19-11, Shirley Verity, Ray Clarke, Jules Pering, Russell Marks 31-8. The Berleen team: Les Bedford, Margaret Morrison, Barry Edwards, Vic Slater also had a good win 24-16. FED 4’s League Thursday 2nd Div A SL Ospreys, away v VB Vikings, a game of two halves; shots 49-49, pts3-5. Winners: Shirley Verity, Janet McEneany, Sabrina & Russell Marks 22-6. Div B SL Condors; away v GL Bulls a close match, 4-4, shots 53-54. Winners: Les Bedford, Jan Pocock, Ray Clarke, Colin Potter 19-16, Ros Holmes, Margaret Morrison, Neil Morrison, Sue Cooper 20-17. Div C SL Bazas, a good result away v LS Hoopoes, 6-2, 65 shots-57. Winners: Doug Beattie, Margaret Stephens, Fay Beattie, Dave Blackie 29-17, Pat Malden, Pat Bird, Graham Bird, John Malden 24-23. Friday 3rd LLB Southern League, SL Lions home v VB Picadors, hard fought points 8-6, shots 115-96. Winners: Carol Lowry, Dave Blackie, Keith Lowry 23-15, Ray Clarke, June & Keith Jones 26-11, Kath Reid, Keith Phillips, Scott Malden 18-11. SL Tigers, were unfortunately swallowed by the Sharks, away at La Marina; 0pts-14, shots 76-132. SL Pumas, had a great result away v EmIsle Roundheads, 10pts-4, 110 shots-95. Winners: Chris Phillips, Derek Smith, Kevin Hull 24-19, Kath Waywell, Bob Bromley, Ray Watmough 23-7, Mary Fromson, Marie Henley, Robin Harker 26-15, Margaret Stephens, Terry Baylis, Ken Dullaway 15-13. The Comets managed to pick up 6 points against Emerald Isle Titans, winning on 2 rinks and gaining the overall shots 128-104. Well done to Stan North, Jim Jarvie, Jack Jackson 32-10; Sheila Errington, Bob Graham, Brian Errington 20-15. The Meteors had a good win against San Luis Klingons at home winning 10points to 4. Very well done to Margaret Patterson, Cliff Plaisted, Steve Cantley 34-8; Noel Davis, Dave Greenland, Lyn Greenland 23-14; Reg Cooper, Don Whitney, Stuart Hemmings 16-11; Alan Patterson, Mary Dyer, Lin Miller 25-8. Shots for 125 – against 81. The Pulsars didn’t do so well away at Vistabella only picking up 3 points. Well done to Anita Brown, Sheila Booth, Alan Campbell 17-15; Peter Rees, Ron Nairey, John Raby 17 across. Show for 71, against 116. The Winter league had a good result against El Cid winning 8-4, with shots being 88 for and 64 against. Very well done to Margaret Rogers, Alan Patterson, Brian Allen, Ian Rogers 21-11; Cliff Plaisted, Val & Chris Collier, Stuart Denholm 17-9; Margaret Patterson, Tony Sansom, Dave & Lyn Greenland 20-10. A brilliant result for the Cherokees against Emerald Isle in the Fed fours winning all rinks, shots 57 for, 33 against. Noel Davis, Gail Willshire, Chris Collier, Fred Willshire 18-8; Cliff Plaisted, Val Collier, Lyn Grenland, Steve Cantley 19-7; Sue Milner, Carol Rudge, Stuart Hemmings, Lin Miller 20-18. DONT FORGET – THURSDAY, OPEN FORUM 0930 FOR 1000 START. 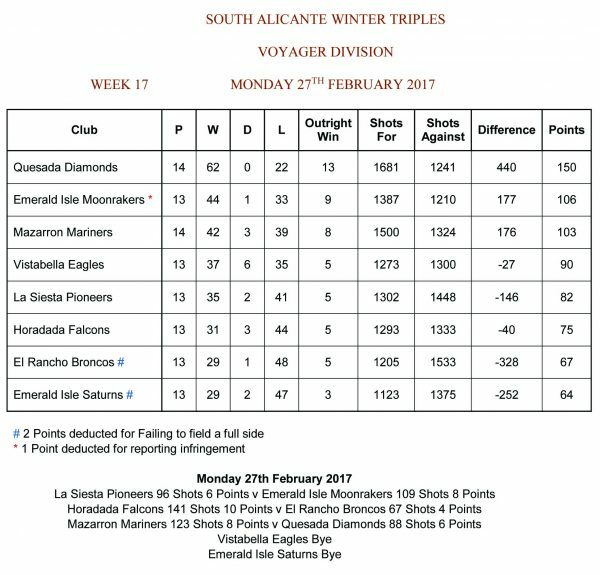 Well done to the Enterprise league Albatrosses, at home v San Miguel Pulsars they won on four rinks plus a drawn game. L Bishop, S Broadhurst & J Bowman 25-8. T French, C Watkins & B Pain 20-9. K Hardy, M Regan & A Brown 24-11. O Ratcliffe, S Allman & B Dunn 15-11 and S Kirk, N Burrows & K Cuthbert 17-17. VB 116(11) – 73(3) SM. Drivers also at home won on two Rinks, S Whitehall, M Foulcer & P Rafferty 17-7. F Barclay, L Barber & G Thorpe 19-13. VB 90(4) – 104(10) MM. The voyager league Eagles had a bye. Winter league team at home to Greenlands matched their away result of a full house, well done team. S Burrows, B Brown, M Regan & G Thorpe 32-6. L Bishop, P Tomkins, B Dunn & I Kenyon 31-6. J Chaplin, M Foulcer, B Norris & E Bishop 28-12. L Watkins, T French, A Brown & M Furness 21-9. O Ratcliffe, J Bowman, C Thorpe & B Pain 20-19. VB 132 (12) – 52(0) G.
Fed 4 league. The Vikings managed a home win over the San Luis Osprey, two wins and a draw on the shots. F Barclay, B Ewart, M Regan & G Thorpe 22-12. C Watkins, L Barber, A Brown & C Thorpe 21-15. T French. VB 49(5) – 49(3) SL. Southern league. The Div 1 Lanzadores down in the campo at Mazarrón suffered in the hands of their Miners, just winning on two Rinks, hard lines but well done to O Ratcliffe, C Watkins & K Cuthbert 26-9 and L Watkins, B Brown & M Furness 20-11. VB 95(4) – 109(10) M.
The Drivers had three wins away against the San Luis Lions, a good result. D Gunning, J Neve & D Jenkins 20-15. K Hardy, S & B Norris 22-17. P Rafferty, T French & C Thorpe 17-16. VB 96(6) – 115(8) SL. 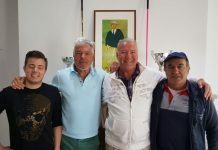 Div 3 The Conquistadores v EI Outlaws had one home win from M Blight, Pete Tomkins & J Bagwell. VB 69(2) – 110(12) EI. One Monday & one Friday game to go, give it your best shot!